There are many options in mouth guards. Most guards are found in athletic stores. These vary in comfort, protection as well as cost. The least expensive tend to be the least effective in preventing oral injuries. 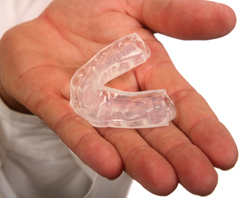 Customized mouth guards can be provided through our practice.